It's transformed viewing habits and many would be hard-pressed to imagine a world without it: the BBC iPlayer is 10. A decade ago today, the BBC officially launched the iPlayer, although it had already been available as a beta service to the public since July 2007. The broadcaster used the peak Christmas viewing period to launch a series of adverts across TV, radio, press outlets and outdoor advertising screens promoting the service, which would, according to the slogan, "make the unmissable, unmissable". 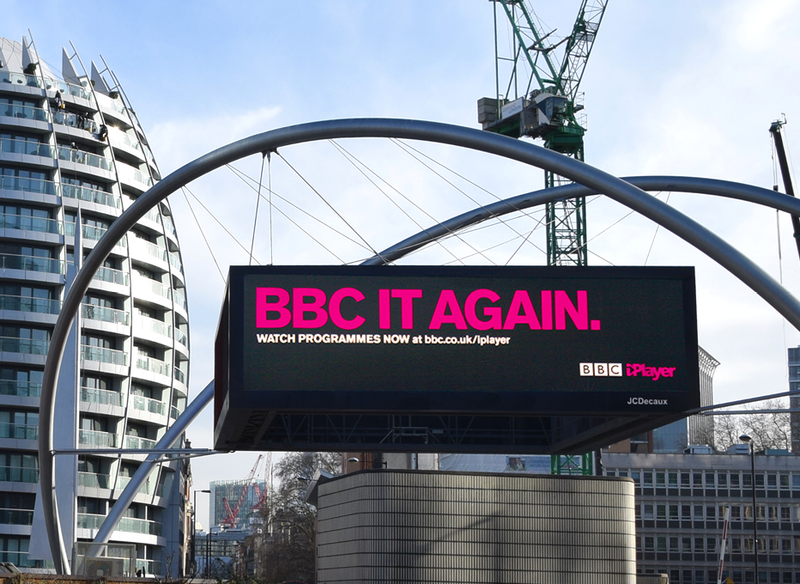 Since its launch, the iPlayer has become major success for the BBC and somewhat of a standard-bearer for all other on-demand services. 3.5 million programmes were streamed or downloaded within a fortnight of the marketing launch. A BBC blog from the time confirmed that more people had accessed the service within the first week than they had expected for the full month. Strong and stable branding: while every other major broadcaster has revamped, renamed or relaunched their on-demand players in the last decade, the BBC iPlayer name, logo and basic functionality has remained the same. Accessible: public funding for the BBC has provided the incentive to provide subtitling and support accessible solutions for the iPlayer - Ofcom is currently trying to get the industry at large to make their on-demand services more accessible. But it hasn't been all plain sailing in the last decade. Initially, there were frequent accusations levied at the BBC that it was supporting and promoting certain platforms over others. ISPs were unhappy about the strain the iPlayer was putting on their networks. Meanwhile, an explosion of connected devices and associated platforms coupled with funding cuts for the BBC threatened how the broadcaster would deploy updates to the iPlayer - as a result, many first-generation connected devices, including smart TVs, would lose access to the iPlayer, as the BBC moved to standardise and harmonise how it made the service available on connected devices, with the same interface and background technology supporting the service across multiple platforms. On screen, the iPlayer has changed from being a sole provider of catch-up content from the last seven days, to a vast on-demand library of programmes from the past month and beyond, thanks to the opening up of the BBC's archive. Some programmes are now premiered on the iPlayer, reversing roles and making linear channels the place to catch-up. Live streams of all the main channels provide users with fast enough connections to access all available content in HD, regardless of their local Freeview coverage. It's also become the easy way to access all of the BBC's services for the nations and regions, providing more people with the opportunity to watch live Welsh rugby coverage on BBC Two Wales or football on BBC Scotland anywhere in the UK. This month, the iPlayer began to showcase the first full series of a programme in UHD and HDR with the arrival of Blue Planet II, a year after trialling a small clip of Planet Earth II in the new format. No longer first with such new technologies, the BBC appears to be waiting for the devices to be available on the market to support these advances first. Although UHD TVs and boxes have been around for several years, international standards unpinning the distribution of UHD and HDR content have only been agreed recently, with the BBC's work on UHD and HDR helping to form these standards and giving viewers some certainty when they look to buy a new UHD capable TV or box. Given the lack of terrestrial TV bandwidth, and the high cost of satellite capacity, it's almost certain that for much of the next 10 years, the iPlayer will be the primary way of accessing UHD content from the BBC. An analysis of all the data confirms that a hybrid of both linear and catch-up viewing now form the basis of most viewer's TV habits, but a lack of funding or perhaps managerial insistence that the iPlayer is the technical solution to all problems appears to be driving the BBC in a direction of putting the platform above all others: the new BBC Scotland channel is so far only confirmed as going to be available in HD on the iPlayer. Viewers not able the receive the full set of BBC HD channels on Freeview? Let the iPlayer take the strain. Young people? 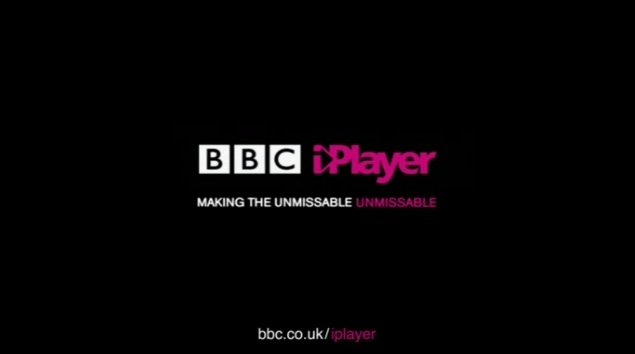 iPlayer. Complaints about too many repeats on at Christmas? Put the repeats on the iPlayer and call them "box sets". On a more serious note, the main concern for the iPlayer going forward will be how it fulfils its original slogan of "making the unmissable, unmissable". While the BBC's traditional services loom large over UK viewers with prominent slots on channel guides, the iPlayer is a relative minnow in a sea full of large global players, both traditional ones (like the impending Sky/Disney corporate giant) and newcomers (e.g. Netflix, Amazon Prime). Despite efforts by broadcasters and legislators to ensure that due prominence is provided to the likes of the iPlayer on TV platforms, and the public service broadcasters putting their weight behind new services like Freeview Play, there is still the big danger that lost in an array of apps, feeds, viral social media content and new platforms and without the commercial clout to to promote the service more on third-party devices, there is a long-term risk that what was once "unmissable" is missed and forgotten about by viewers. Which festive BBC programmes were viewers catching up on in 2007? Voyage of the Damned. David Tennant and Kylie Minogue starred in a special edition of the show. When disaster hits the spaceship Titanic, the Doctor - ably assisted by the ship's waitress Astrid - battles aliens, saboteurs and robot Angels. Four of the best performing couples from the 2007 competition took on previous series winners Mark "the hips" Ramprakash and Darren Gough. The 1970s sitcom returned for a one-off special. Audrey and DeVere prepare to celebrate their silver wedding anniversary, but an unforeseen event threatens to disturb life at the Grantleigh estate. The Top Gear presenter tries to understand the appeal of certain toys, and seeks to prove that they can be as effective a social barometer as any history book. In 2007, the Branning family ended up in disarray following a shocking revelation on Christmas Day. (Compiled with data from BBC Genome). Article written by Mike Manning, editor of a516digital.